In my experience, I am convinced that techniques and methods of sales are teachable to anyone who has the desire to learn. 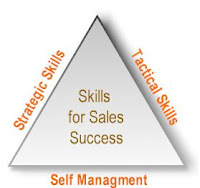 However, there are a few natural skills that are of great benefit if they already exist within those that want to be successful in sales. I am not necessarily speaking of your personal surroundings, but more with your thoughts and methods of planning. Sales people have a keen ability to break things down into smaller steps and organize a plan of action. They know how to analyze what their goal is and in what order the steps need to be in in order to reach that goal. The best sales people are very well mannered. You may not realize it, but good manners is a way of showing respect for others. People are attracted to those that respect them and mutual respect is fundamental in building lasting relationships with people..including buyers. your thoughts are in line. A good sales person must be a good body language reader. Must be used to the different body languages around.